Fully adjustable, universal projector mount will work with over 99% of LCD/LED/DLP projectors on the market. The flexible design allows you to mount your projector to the ceiling or the wall. 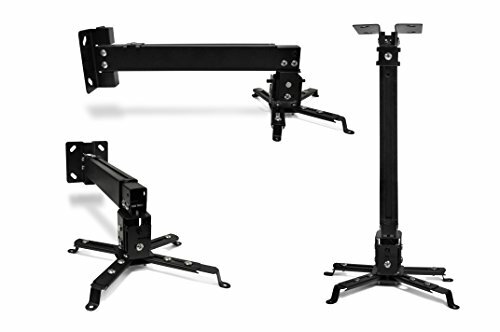 The adjustable tilt arm extends 24" and makes it easy to find the perfect height and angle. Please note not for use with handheld/pico projectors. Max Projector Weight: 55 lbs. If you have any questions about this product by FAVI, contact us by completing and submitting the form below. If you are looking for a specif part number, please include it with your message.